If you’re not careful, using your cell phone abroad can seriously cost you. Cell phone plans in Canada are way more expensive than in the States and Europe which is why I started buying SIM cards when I visit a country for more than four days. Here are a few things I learned and some warnings if you want to do the same. If you bought your phone from the Apple store or from an Android manufacturer, your phone is already unlocked — it’s fit to use with any carrier and any SIM card. However, if you got your phone as part of a contract or a pay-back plan with a carrier, your phone may be “locked” to that provider. Unlocking is simple in most cases. You just have to call your provider, pay a fee, and restart your phone. 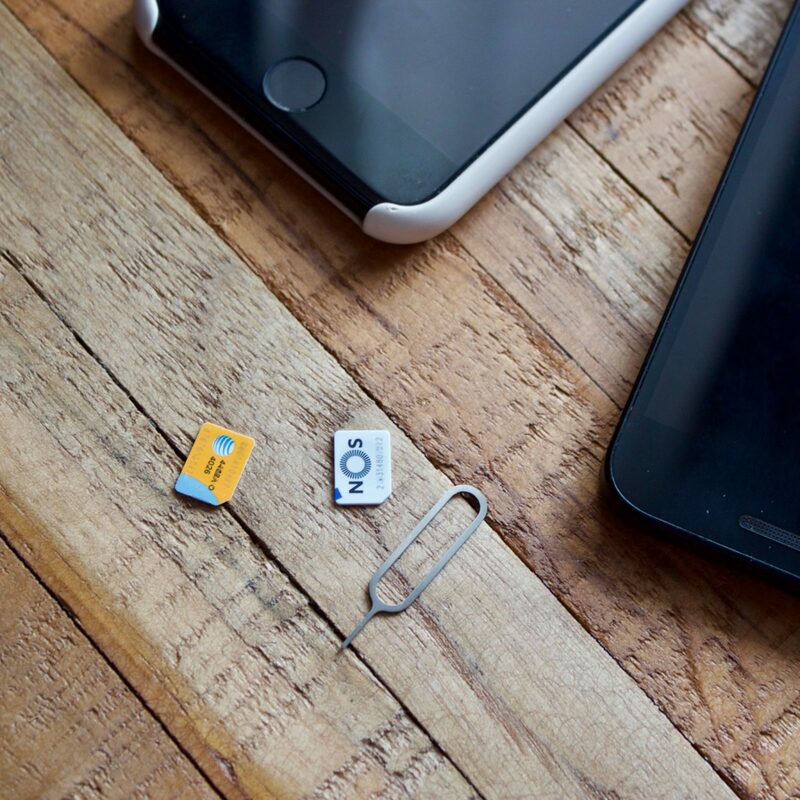 Also, take note of the size of the SIM card that fits your phone so you don’t accidentally buy the wrong one. It’s almost impossible to buy a foreign SIM card and get it shipped to your house before you travel. That’s why it’s important to do some research on where you can buy a SIM card and what the plans are in your destination country. Sometimes you can pick one up at the airport or close to your hotel. Map out where the closest store is using Google offline maps. For my trip to Lisbon, I shopped around a little online to compare prices but ultimately asked a local for his recommendation. That helped a lot and I knew exactly what to ask for when I got to the store. For my trips to Florence and Lisbon, I had local SIM cards that I loaded up with a 10-day unlimited data and text plan. I was there for approximately a week in each place, so didn’t need much more. Had I needed to refill my data plan, though, I would have had to schedule another trip to the store because online services often don’t take foreign credit cards. For my U.S. SIM card, which I use several times a year, I know I can refill online or by phone if I have a prepaid refill card. I don’t have to scramble to find an AT&T store to refill my no-contract account. I stocked up on these pre-paid cards on a recent trip to Target. Did you get a plan with a cap on data? Monitor your use with an app like My Data Manager (hot tip from Elida) to see if you’re close to running out. Update your contact information, including apps. When you pop in a new SIM card, update your number in UBER and Lyft so cabs can call you. If you have Two-Factor Authentication set up with your old number, change the number or switch to an authentication app (like Google Authenticator) instead. Add your number to your own card in iCloud contacts so it’s easy to access and tell your friends and family how they can reach you. If your main number is a U.S. number, set up a Google Voice number so you can receive calls and texts even when your SIM card isn’t in your phone. Don’t lose your SIM cards. I always keep all my sim cards taped to their original packaging and carrier info. I also keep the tool to pop open the SIM card tray in my passport folio.